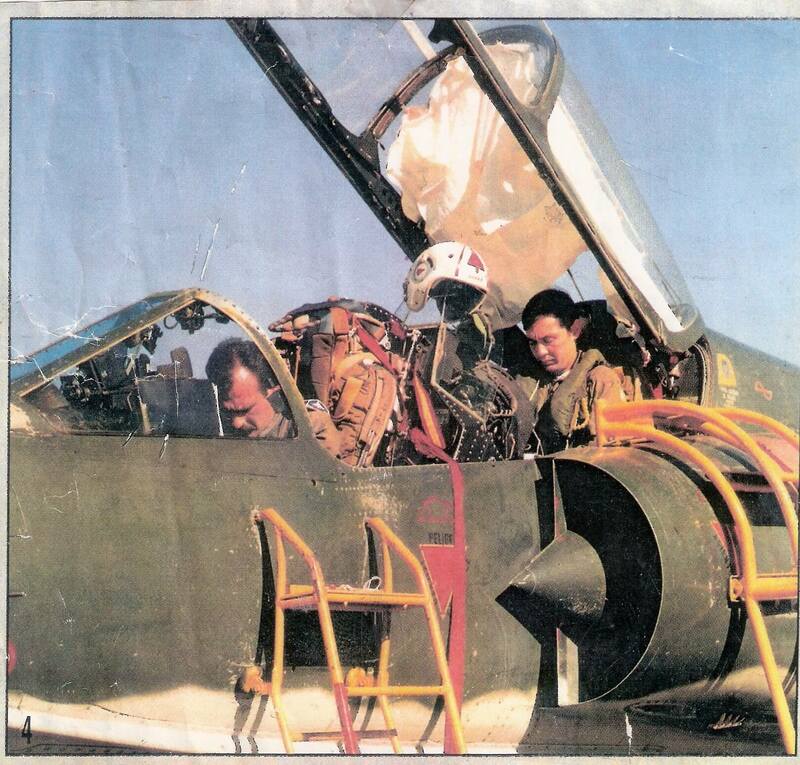 ” This photo of a Mirage III DA registration I-020 from the Argentine Air Force, was taken 20’ before my ejection with Capt Sergio Niclis, as a trainee I was practising fly by instrument when suddenly the engine comenced to have high engine vibrations, trying to approach to our home base in Tandil city, we ejected at 450 ft and 600 ft AGL respectably. We are very proud and thankful to be members of the MB tie club! We use to celebrate with Sergio big parties with our friends on the day that we commemorate our ejection and the last one was the twenty year anniversary on May 2014, unforgettable!! Thanks to all the men and women of Martin-Baker for saving our lives! !